Is your birth control or hormone therapy putting you at risk for future vein issues? Despite the fact that all medications are dispensed with a printed possible side effects list most of us only look at the direct benefit a prescription offers. We visit the doctor for a specific reason and we get almost a type of blinders on where we only are focused on correcting or alleviating the current issue. The medication facts sheets are rarely looked and often tossed in the trash along with the packaging as soon as they are opened. 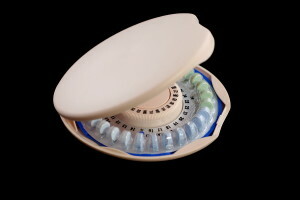 Birth control methods that contain estrogen increase the risk of blood clots (thrombosis) by changing the body’s balance of clotting factors produced in the liver. These artificial hormonal shifts can contribute to the formation of varicose and or spider veins. These can be not only unsightly, but painful. When they first begin to form you may not see them visually right way. According to a study done by the Department of Community Medicine and general practice at the Radford Infirmary, Oxford, the association between oral contraceptives and venous issues is strongest with those who also had other risk factors such as genetic predisposition, excess weight, smokers, reduced circulation or high blood pressure. The risks are also limited to those currently using these medications. The risk is unrelated to the duration of use and ceases at the end of use. If you fit any of the above criteria, you may want to rethink ingesting synthetic hormones. Naturally occurring estrogen and progesterone have positive effects on the circulatory system. During menopause, these levels drop and fluctuate causing an array of issues from mood swings to hot flashes. Some women choose to be put on HRT (Hormone Replacement Therapy). In the case of menopause, the synthetic hormones may actually lessen the likely hood of venous insufficiency. *You may not always visually see vein issues at the very start. The majority of women taking estrogen won’t experience any issues but it always helps to be informed and stay alert when it comes to health. If you experience any of these symptoms and are on a hormone based birth control or are undergoing hormone replacement therapy, please consult your physician or contact us. Eveinscreening.com is a fantastic place to start with a FREE Virtual Vein Consultation. Are my auto insurance coverage limits high enough?